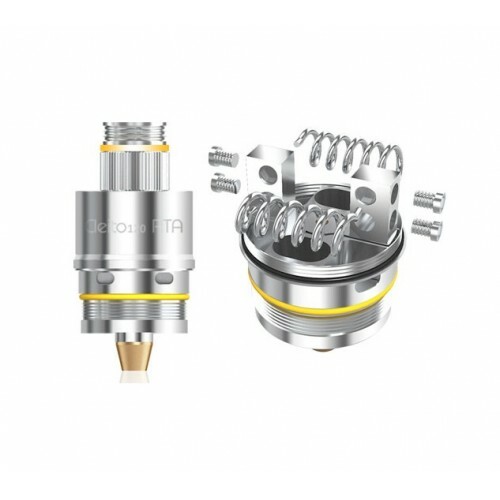 The Cleito 120 RTA adapter builds on the success of the smaller Cleito RTA for the Cleito tank. A larger deck size allows for more space to make more complex coil builds. This adapter kit also comes with a single coil build adapter. Whether dual coil or single coil build, the Cleito 120 RTA satisfies all RTA builder’s preferences. Lastly, as with all RTA’s the DIY aspect of the Cleito 120 RTA allows you to tweak coil builds to realise optimised flavour results. If you love your Cleito 120 tank, you will love the additional coil build options this RTA kit provides.